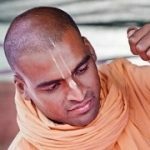 I recently connected with a childhood friend who also became a monk. As you can imagine, we had lots to talk about, and lots in common. In his tradition, one of the monastic vows is to never touch money; and if he does, even by accident, he observes complete fasting for a day. Serious detachment. Admittedly, if I had adopted that vow I’d be dead and cremated by now – financial transactions seem a staple part of my daily life! But money is dangerous, and time and time again we see how it can attack the integrity of life. It’s so easy to sell out on principles and purpose, in return for profit and pleasure. The Biblical reminder of money and evil, then, still stands strong today. Its destructive influence is all pervading. In the pursuance of profit, lawyers have destroyed justice, and the media has destroyed information. Money has caused the medical Industry to destroy health, and triggered educational establishments to destroy real education. The pursuance of wealth has even attacked spiritual institutions. It seems that where financial gain is involved, all other rationale goes out of the window! If the price is right, people will sell out on just about anything, oblivious to the long-term ramifications of their acts. But clearly we need money – to buy groceries, to pay rent, to travel the world… and to do good. Money is useful, and without it, you can’t get much done in today’s world. The famous mendicants in the Bhakti tradition, therefore, mastered the art of utilising ‘material’ in the pursuance of ‘spiritual.’ In sanskrit, they called it yukta-vairagya – embracing worldly things, and connecting them to a higher purpose and noble cause. After all, it’s not money that’s the root of all evil, but the love of it, and the subsequent greed and materialism that surfaces. Thus, when we selflessly utilise such assets in a spirit of detachment, without misappropriating a dime, not only do we remain unaffected, but we can create powerful positive change in the world. Yet it must be exercised with thoughtfulness. In the 1800’s, Karl Marx described money as the “universal agent of separation” – an enchanting elixir, which could unpredictably and instantaneously divorce us from our good intelligence, cherished principles and higher nature. Nowadays I’m more cautious. After all, nobody is rich enough to buy back that which is lost through greed, mundane desire and selfishness. Previous ArticleDoes tolerance create imbalance?